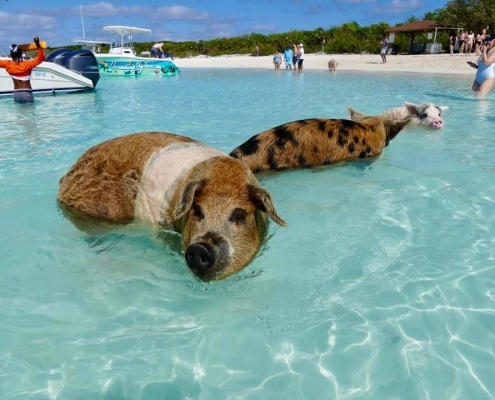 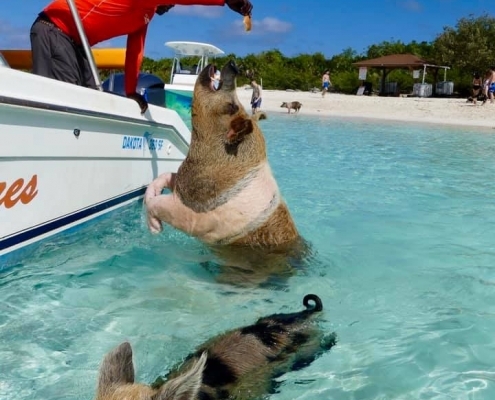 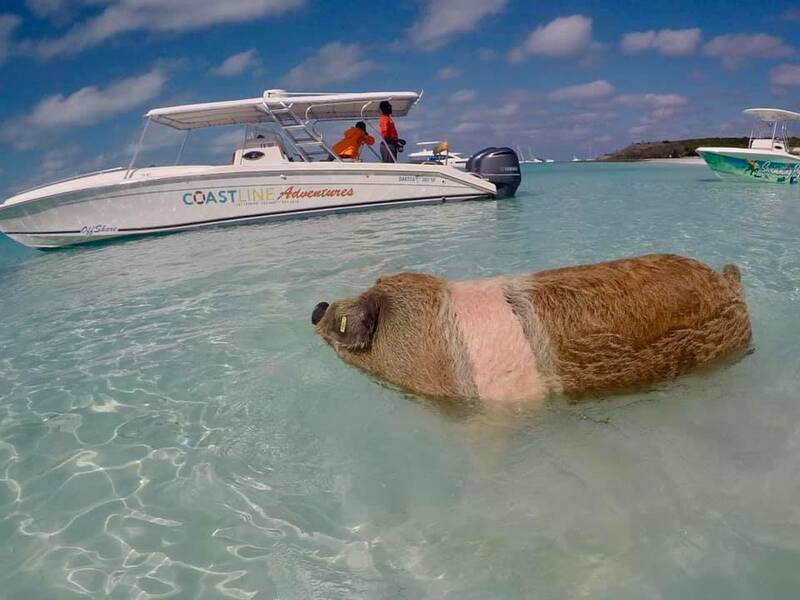 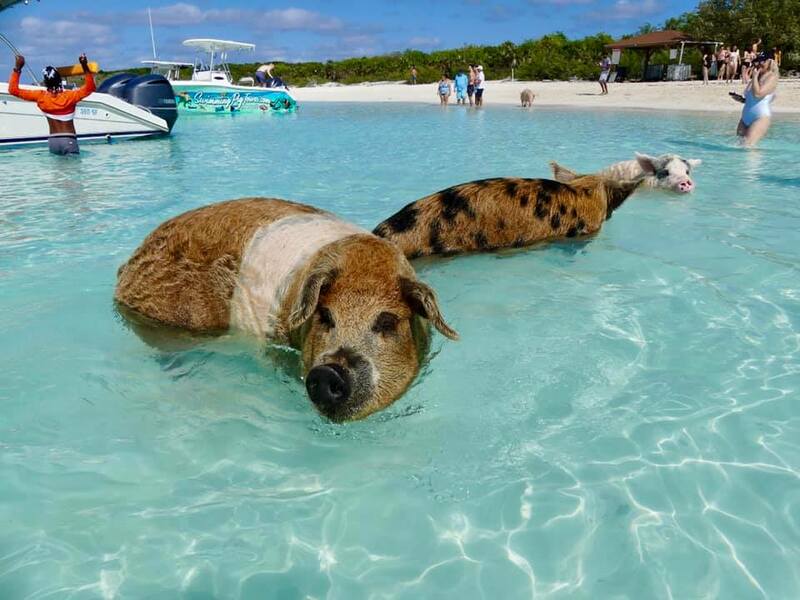 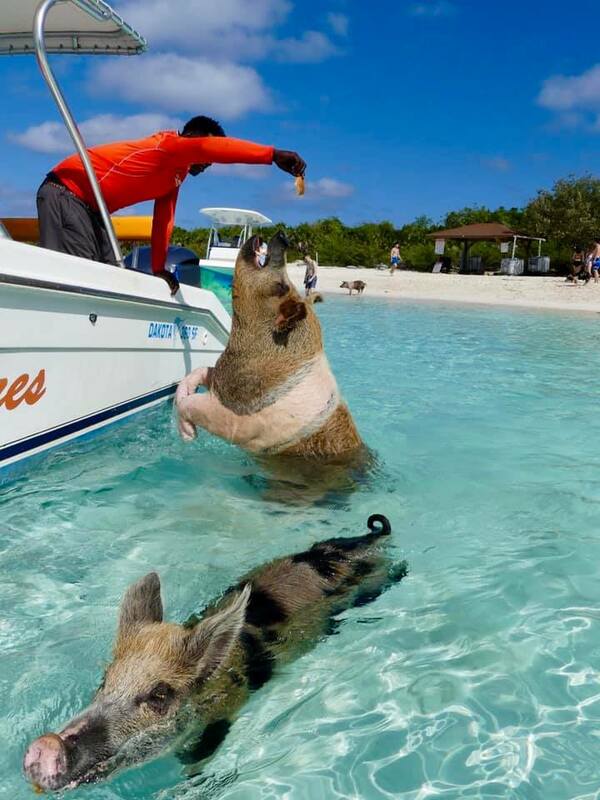 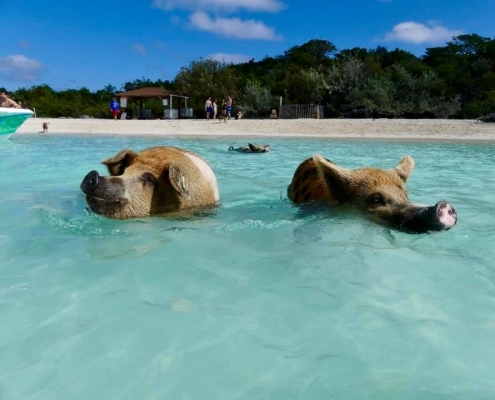 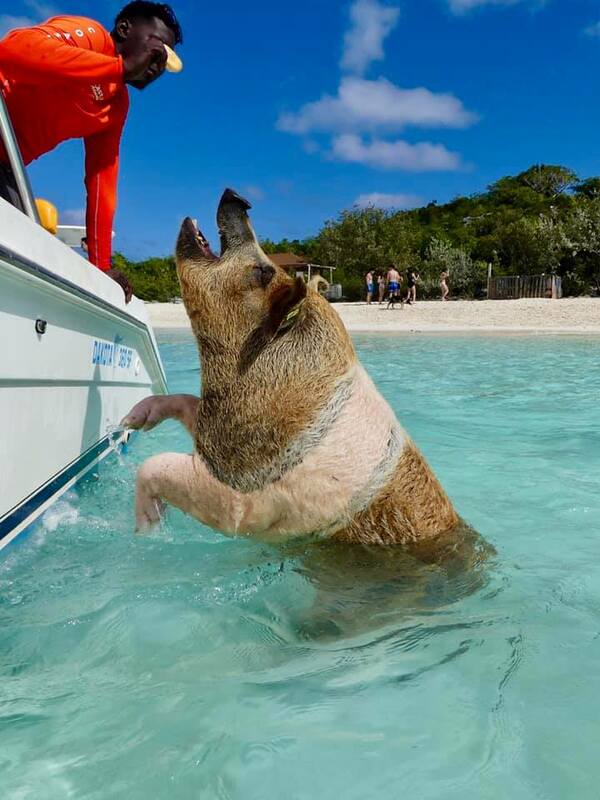 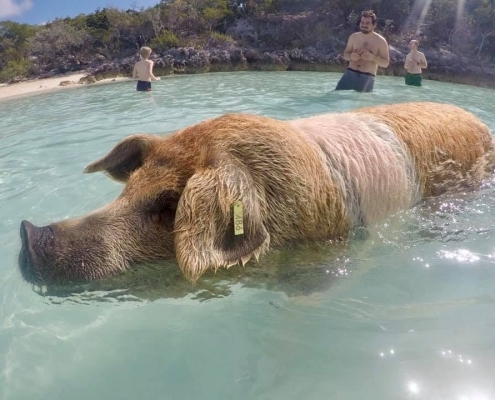 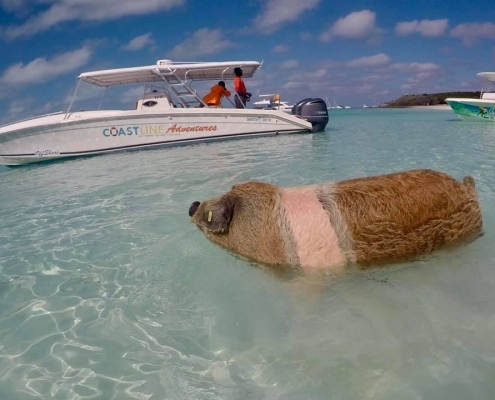 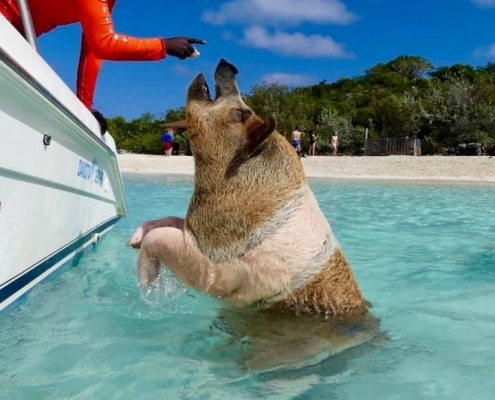 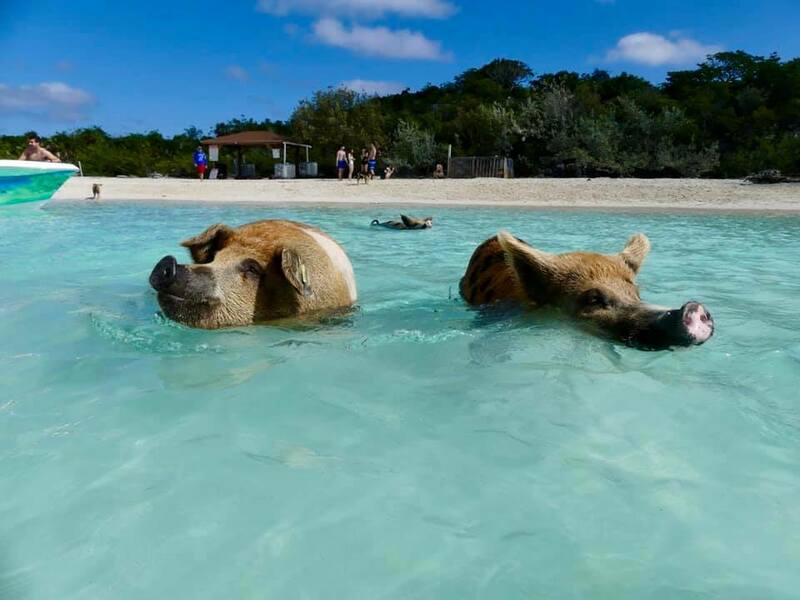 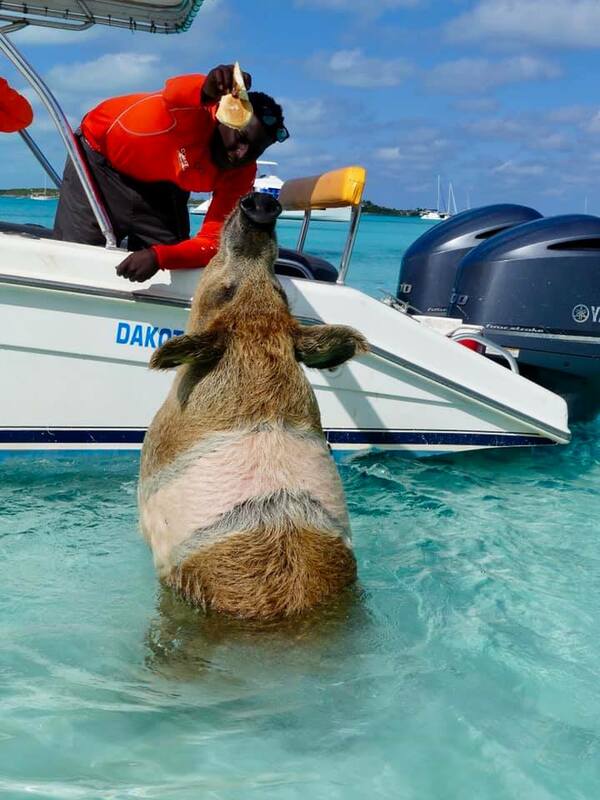 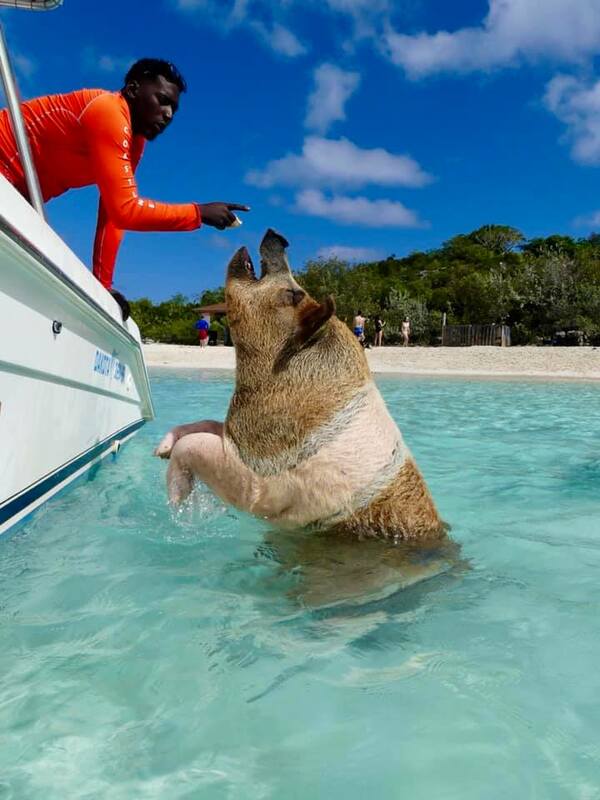 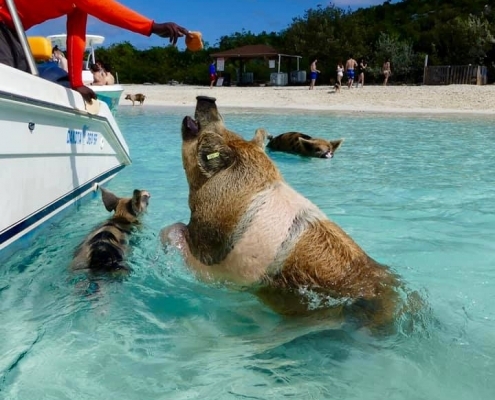 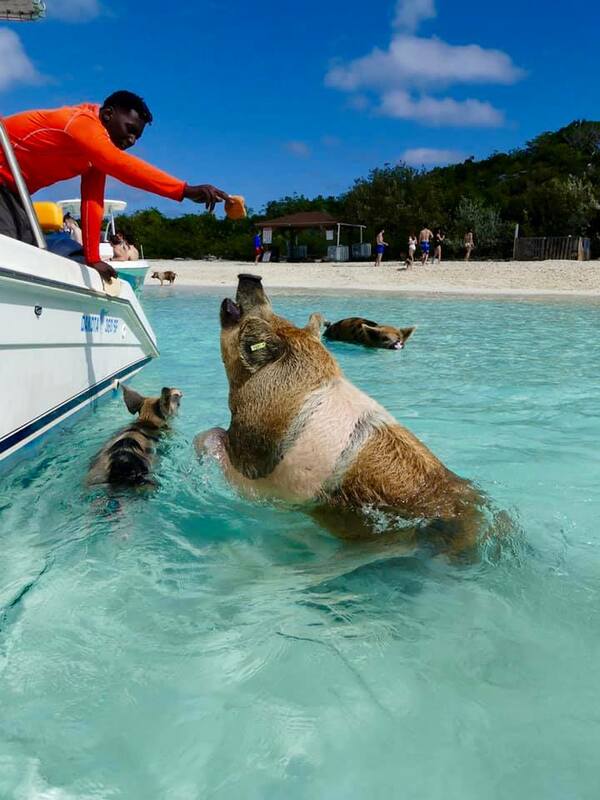 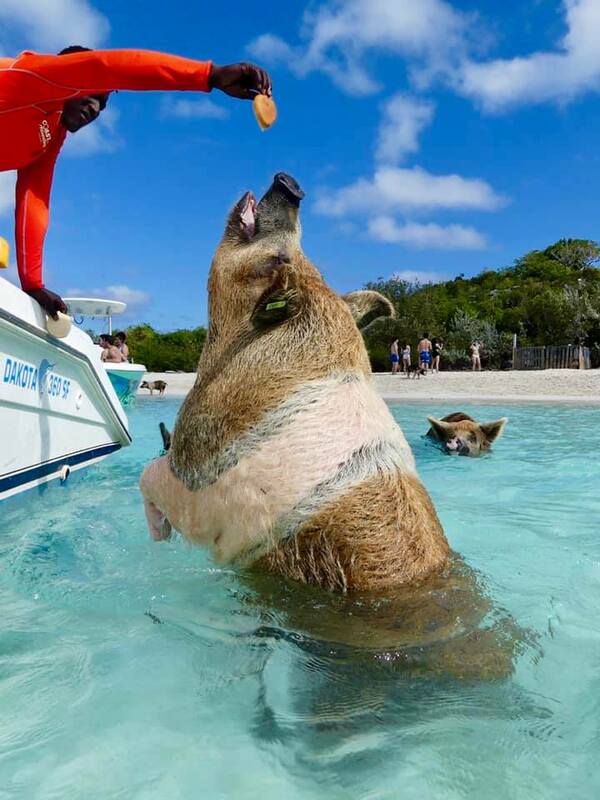 The absolutely biggest of the Pig Island pigs could do some amazing tricks – like stand on hind legs like a dog and reach out for bread. 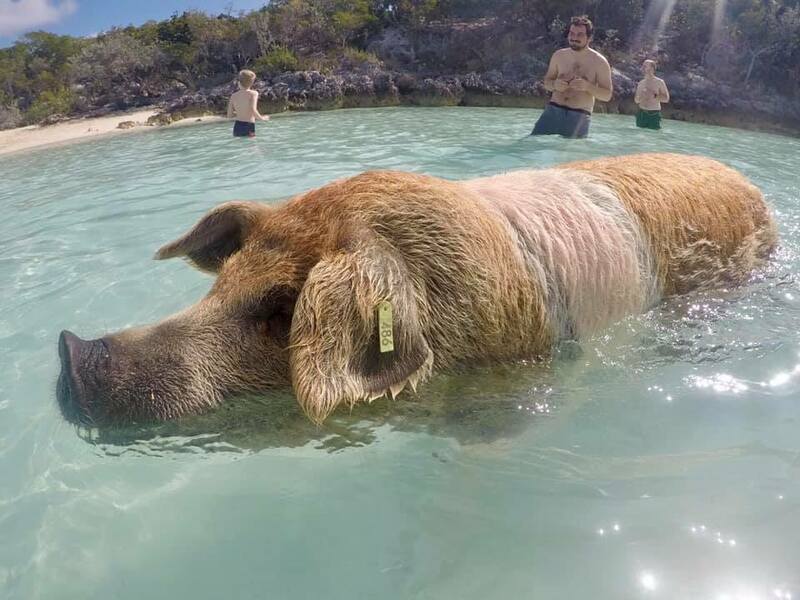 This monster was easily a 350kg/800lb and yet it stood up and swam effortlessly. 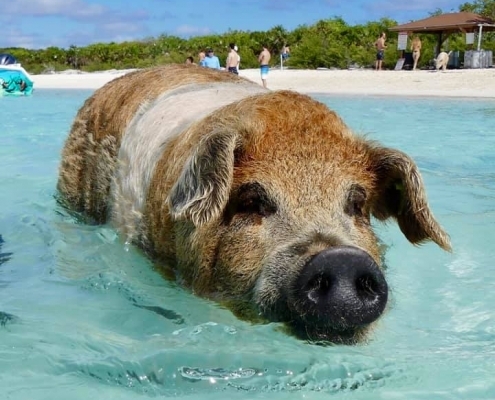 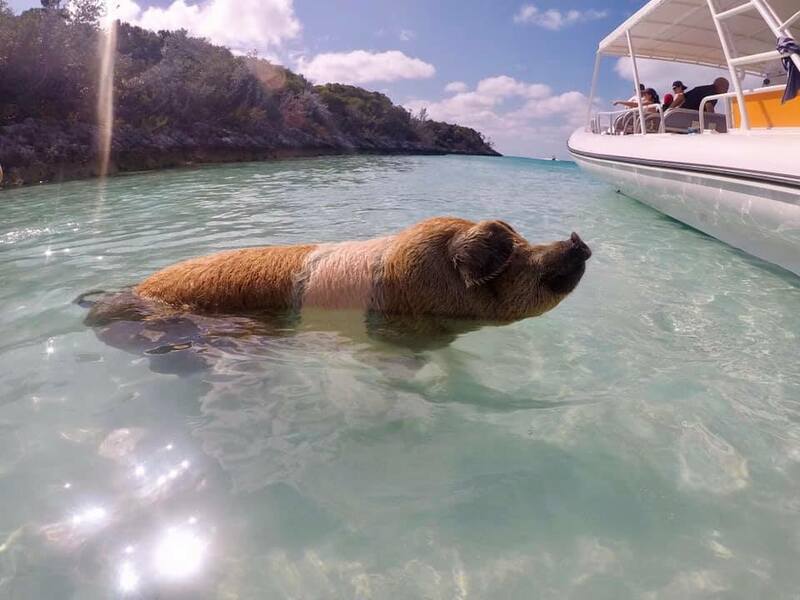 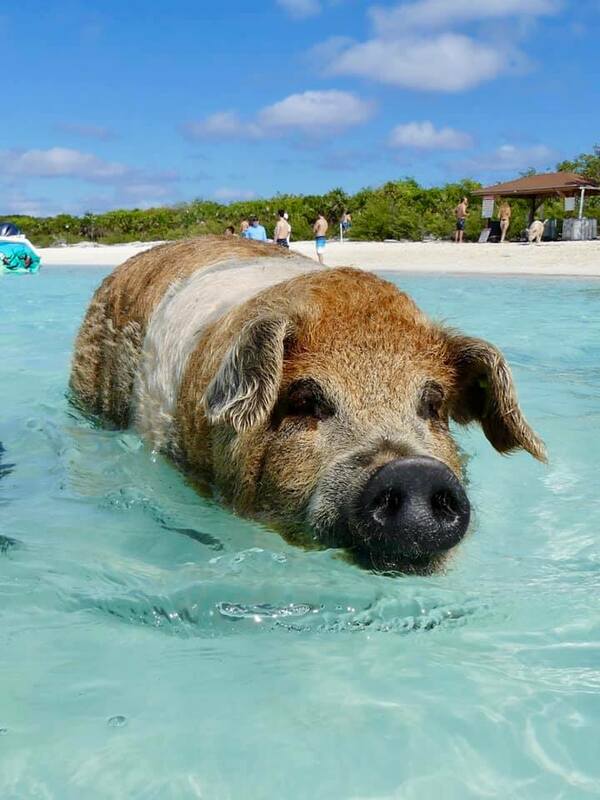 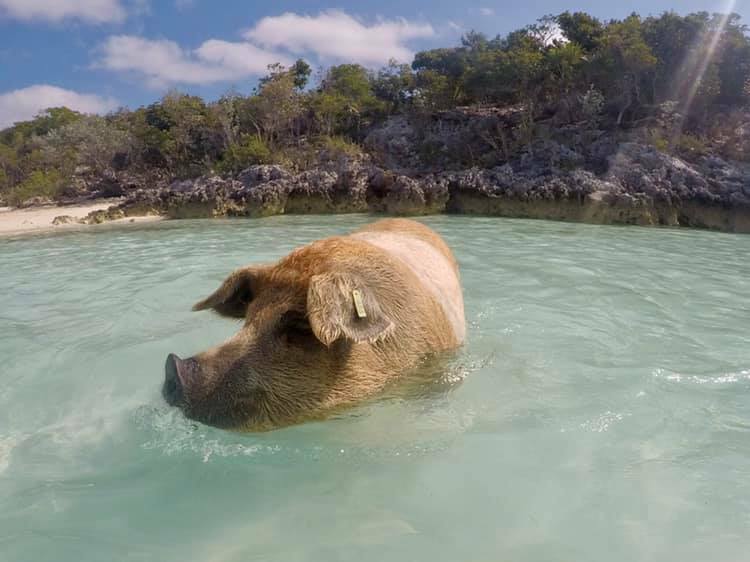 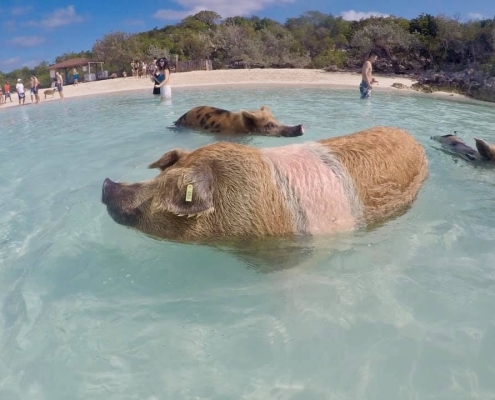 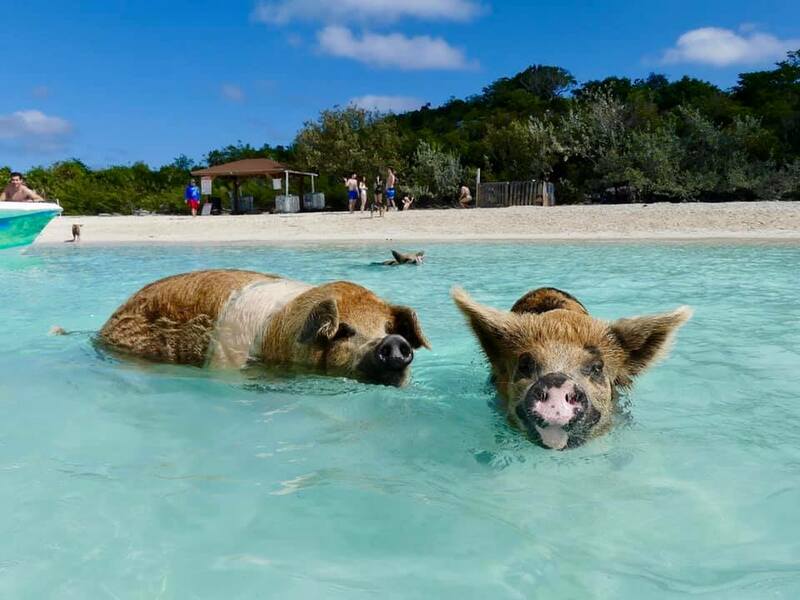 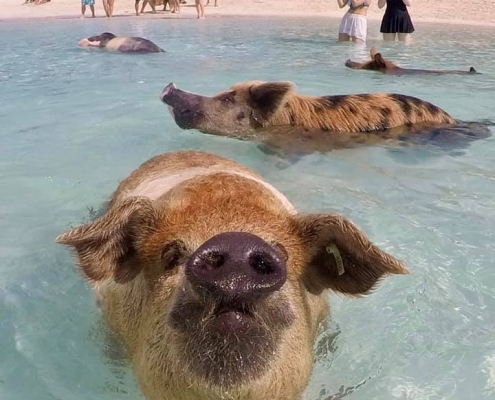 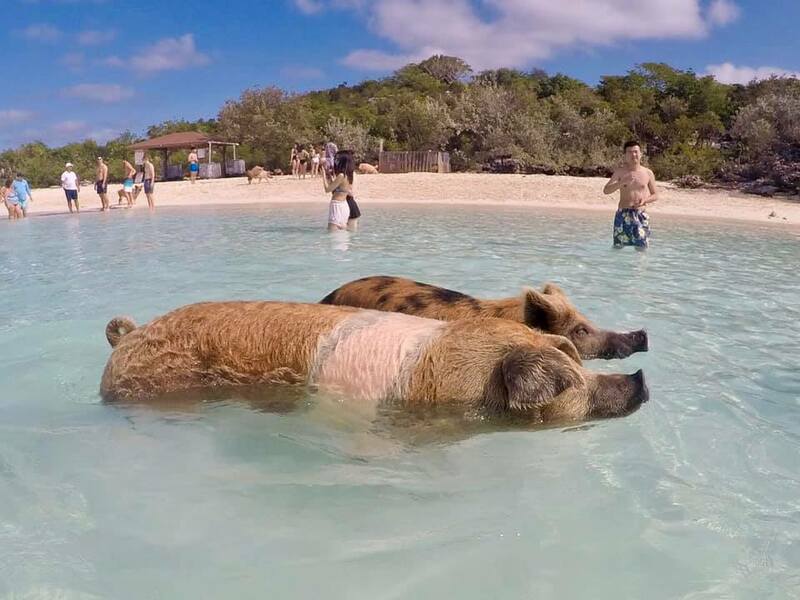 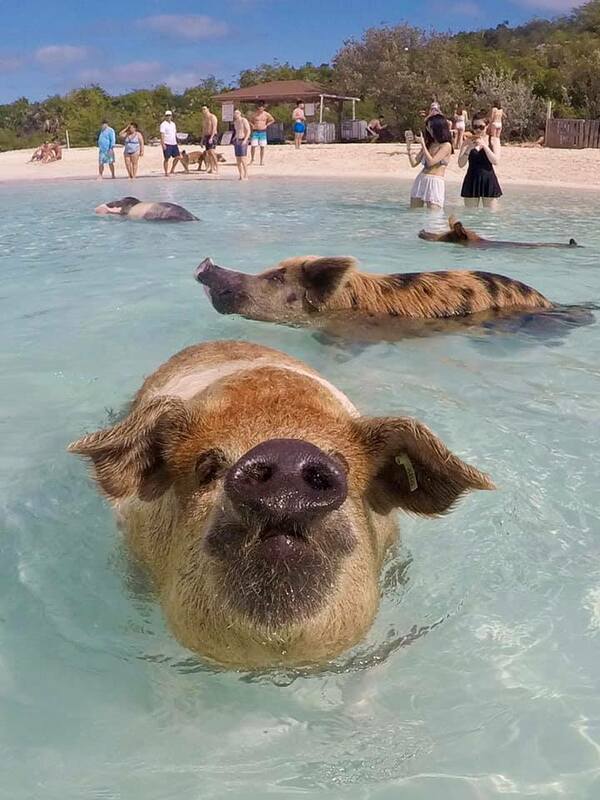 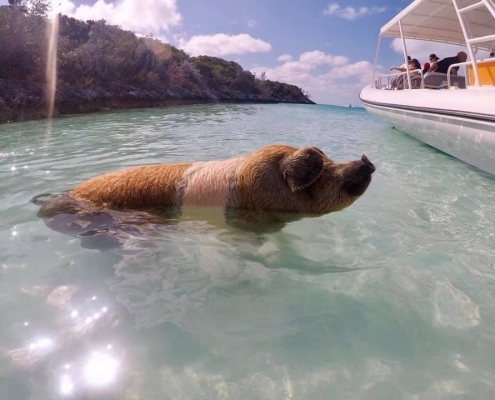 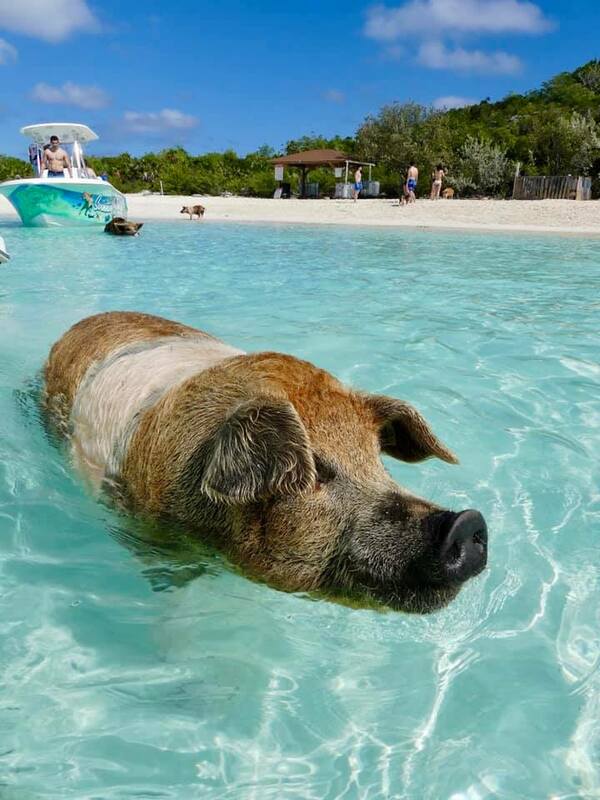 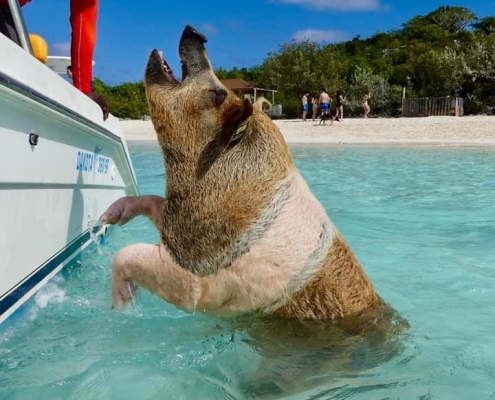 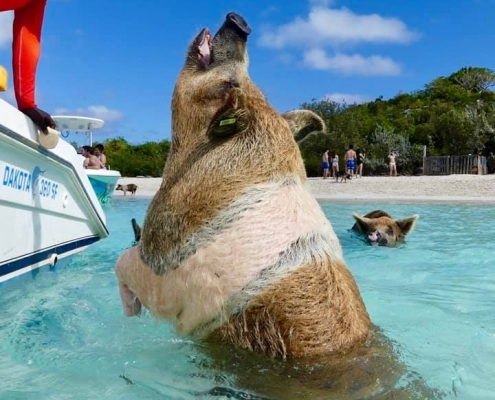 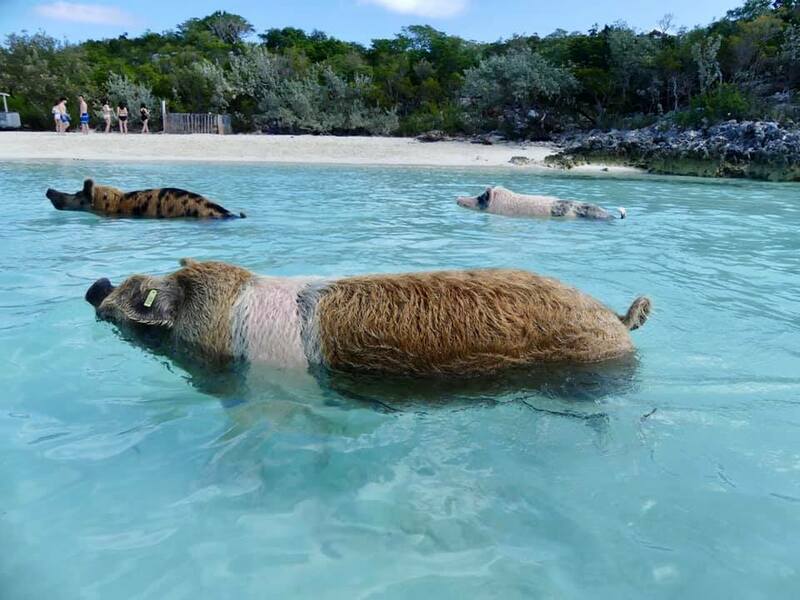 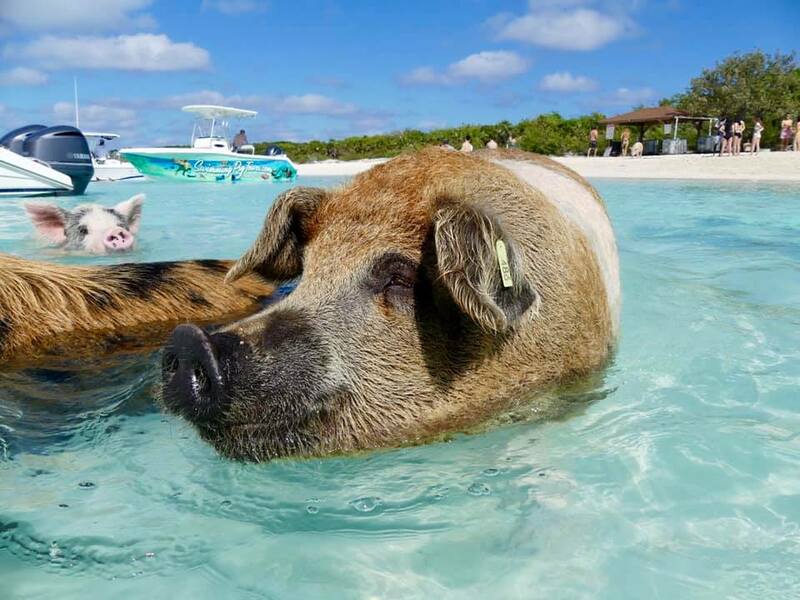 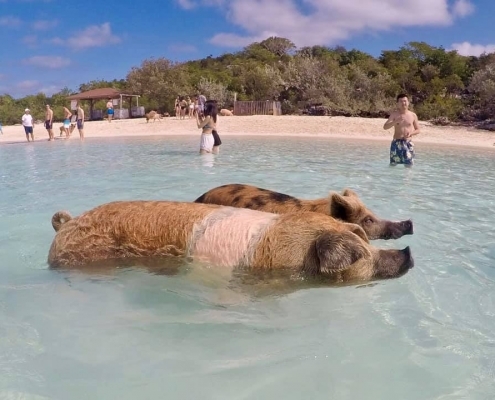 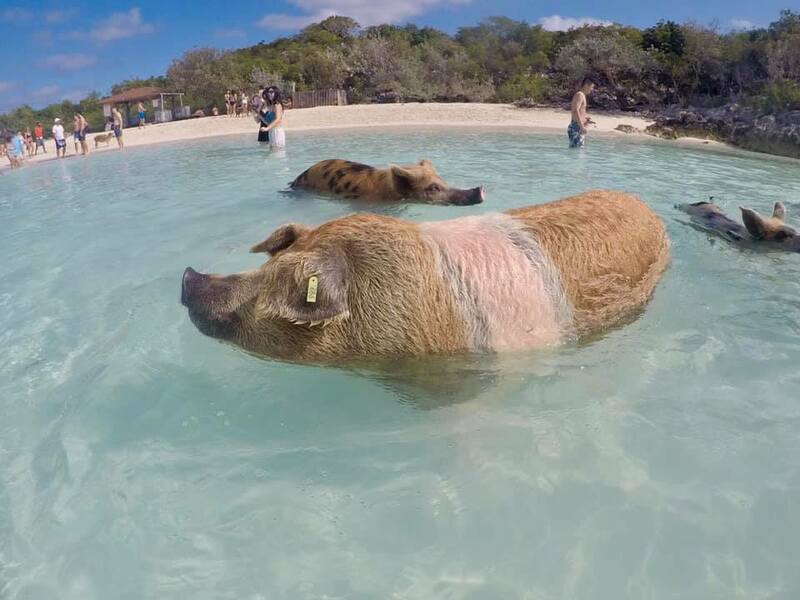 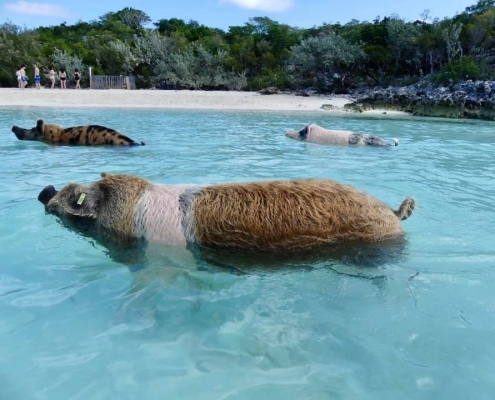 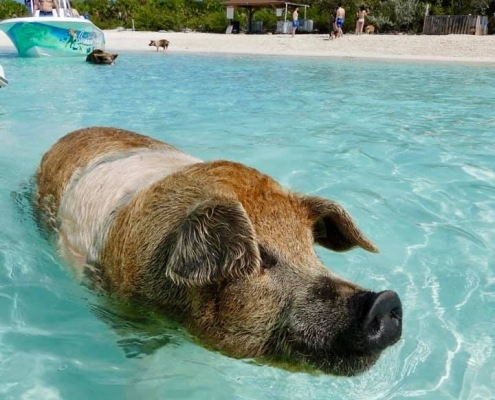 Hr could probably earn some serious $$ in any of the circuses around the world, but why give up a perfect life on your own Pig Island where you are the King (and possibly the Pig President for life)?